The demand for instant and effective communications in schools is more important today than in previous years. Fortunately, we have the technology to make it happen, thanks to Motorola digital radio systems. Just think about all the things that could potential happen on any given day in K-12 schools, on college and university campuses, and on the school buses that transport students. No one wants to image a tragedy happening at school, however you must be prepared to act quickly should an emergency happen. One of the best ways to prepare is the ability to reliably access communication, so you can sound the appropriate alarms and coordinate your response in a matter of seconds. Who Needs to Be Equipped with Radios in Schools and Universities? The goal is to ensure everyone has access to radios, so they know where they are needed most, and can stay connected in a crisis. Why Two-Way Radios for Schools? Motorola MOTOTRBO™ radios are an outstanding choice for schools and buses. There are many different types of radios available, including bus mounted or handheld radios. The goal is to increase safety, improve communication, and keep everyone informed. These are a few reasons to consider communications solutions Aerowave Technologies has to offer for your schools and buses. Aerowave Technologies has been serving the needs of schools, colleges and universities throughout Texas for nearly 20 years. We are a woman-owned organization known for offering exceptional service when designing and engineering customized communications solutions for organizations like your school. 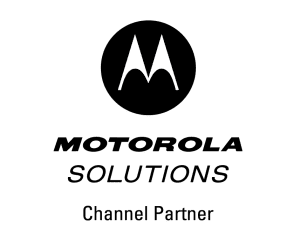 Contact us today to learn more about the outstanding selection of Motorola digital radios and communications systems we have to offer your educational institution.